how do you say “what! no beer?” in swedish? 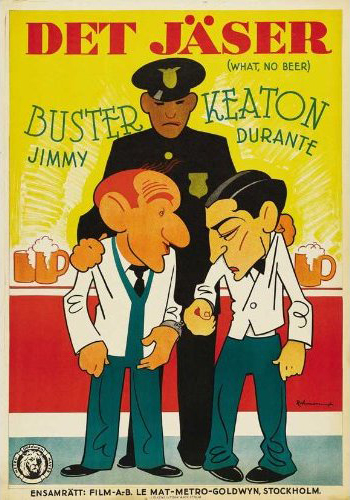 just posted this over on my beer blog after finding the swedish version of this poster for a buster keaton/jimmy durante film with the awesome title of “what! no beer?”. ah prohibition beer movies. 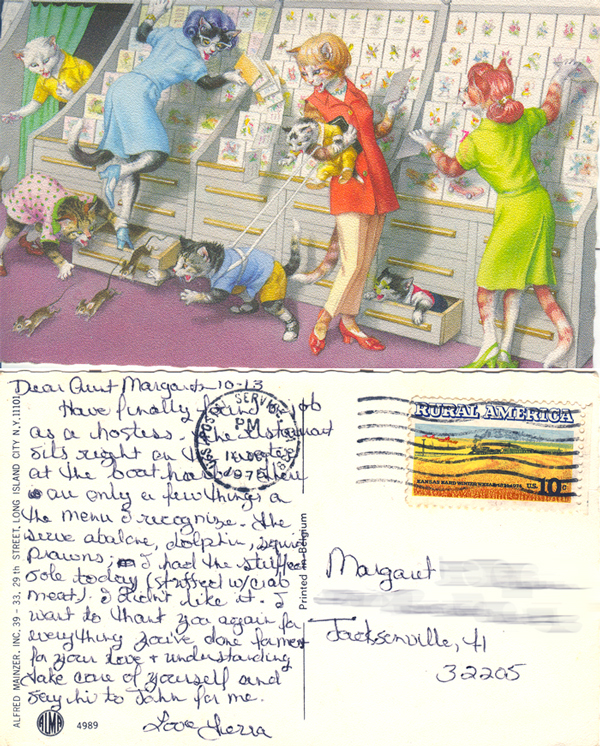 this one has a pretty awesome title, and some stylish poster art. 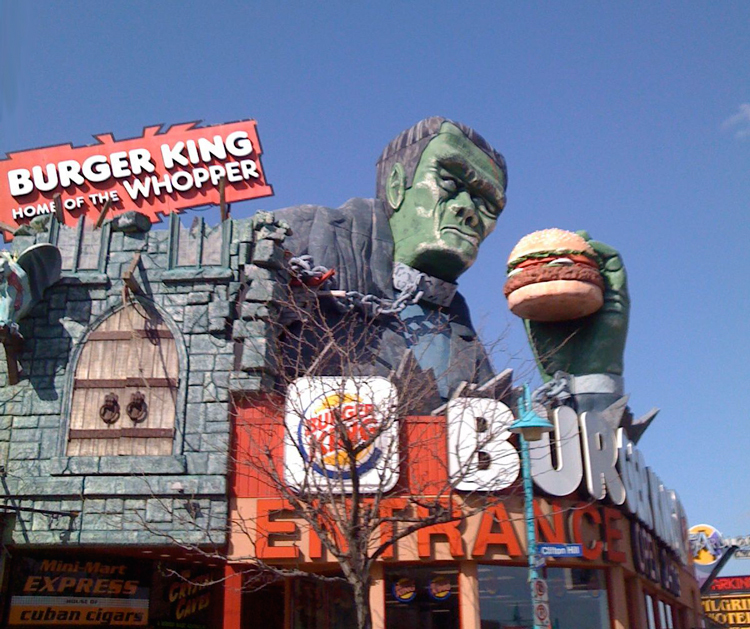 I didn’t remember Niagara Falls Ontario being the Atlantic City of the north, then again I also don’t remember Frankenstein’s monster being a fan of the Whopper. I wish I had gone into this combo House of Horror/Burger King, but I suppose I can visit the one in Times Square if I want that as well, it would just be less campy. “Cry me a Rivera”, the greatest comicbook crossover ever! 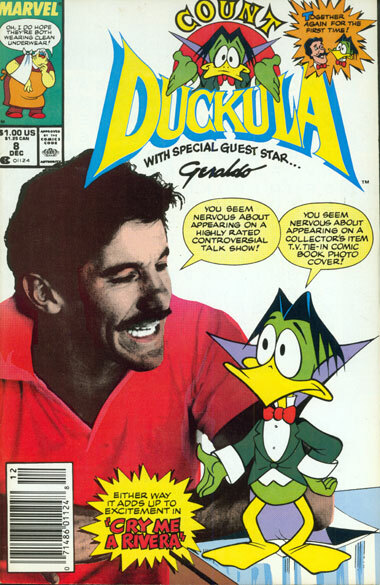 Remember when Count Duckula met Geraldo? I know, how can anyone forget that one. Let’s do twist and (beef) jerk! 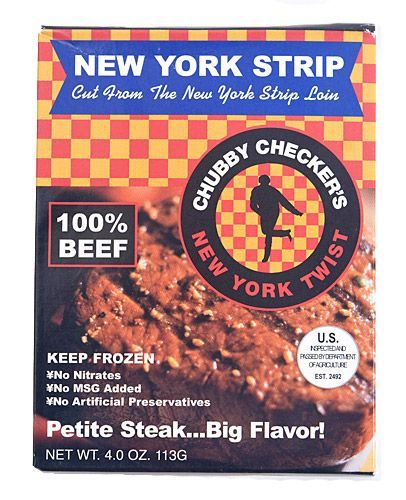 after listening to an npr interview with Chubby Checker this morning, I looked him up, not realizing he had his own brand of Chubby Checker New York Twist Beef Jerky. All that plus it’s MSG free! journey to delicious… and beyond! ok, I wouldn’t normally post something like this, and yes I know this is just a commercial for cat food, but it’s totally insane! 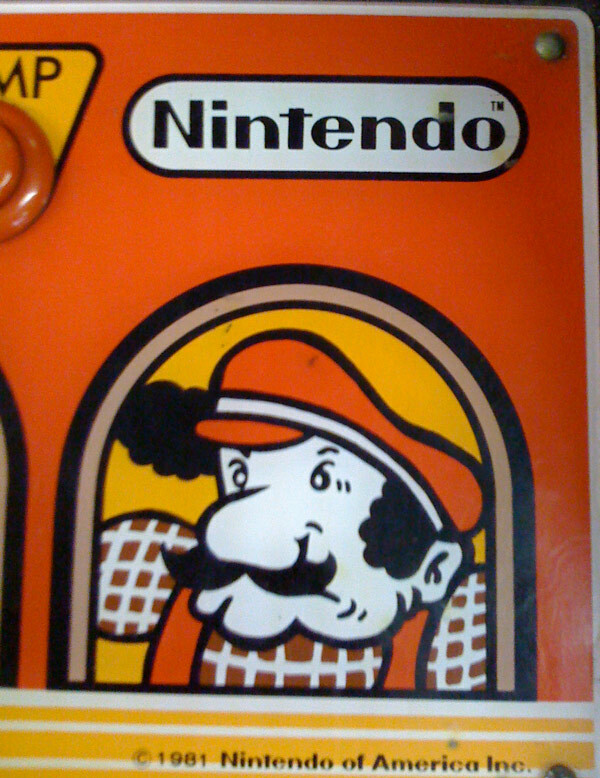 You too will soon have this horrible jingle in your head.